At Mediclinic, we constantly drive improvement in a dynamic healthcare environment. Our challenges are not unique: around the world, hospitals are seeking solutions to multifaceted issues that have an effect on patient experience. We realise that small changes can make an important difference, and we continuously work to solve difficult problems that will improve patient experiences at all our hospitals. The case studies here showcase how individual Mediclinic hospitals around the country are making continuous improvements to patients’ experience. The case studies here showcase how individual Mediclinic hospitals around the country are making continuous improvements to patients’ experience. These improvement stories are examples of how Mediclinic takes the local community’s needs into consideration. As everyone knows, going to hospital can be a stressful experience. There are usually quite a few documents that need to be completed before a patient can be admitted to the hospital. Queries regarding payment options or medical aid cover are often a cause for stress for our patients. Even simple things like what to bring or reserving a private room can cause concern during the admissions process. But imagine how much easier the admission could be if all this paperwork could be done beforehand, and a friendly admissions clerk could answer questions and concerns beforehand. Understanding what our patients need to know has become a clear priority for our admissions team as they work through the admissions process. The valuable feedback we have received from our patients has directed our focus and we are now able to offer a simplified online pre-admission process. 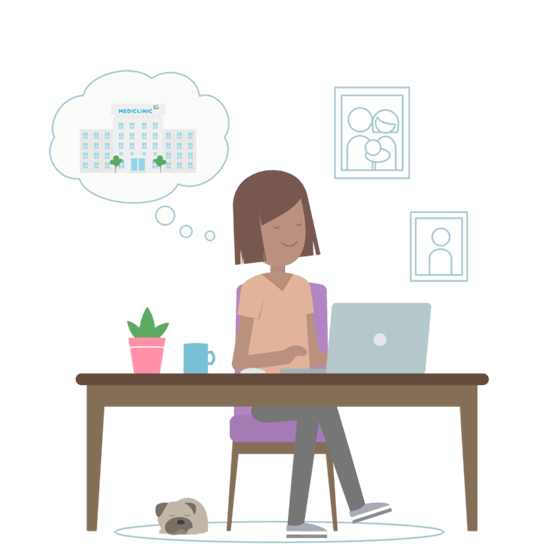 Once the admission date is confirmed with the surgeon or consulting doctor, the patient is now able to complete the necessary information online in the comfort of their own home. The admissions staff at one of our hospitals follows up on all pre-admissions with a phone call, during which patients have an opportunity to ask questions and discuss their concerns. 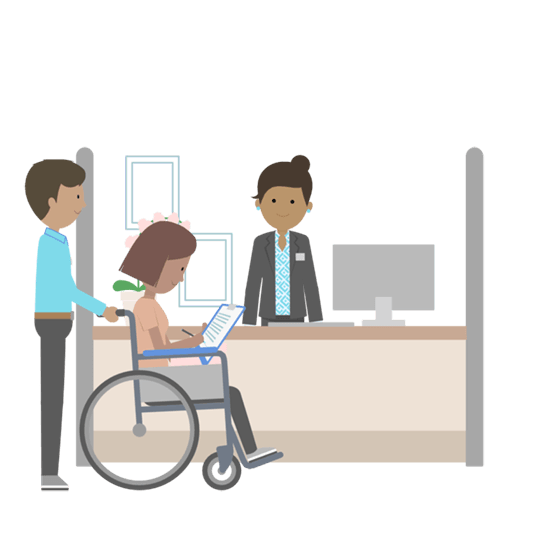 If completing the documents online is not convenient, the patient can simply visit our hospital in advance and work through the admission process with our team. This allows us to remove the stress and uncertainty of being admitted for a procedure. The streamlined admissions process removes any delays in admission and, after a simple interaction with reception, our patients are admitted to the relevant ward on admission day. For both our patients and their relatives, the patient admission can be a simple and stress-free experience. In an ideal world, we would be able to recover from illness or medical procedures in the comfort of our own homes, where everything is familiar and calming. Hospitals are buzzing with activity, and the new sounds and smells could affect patients’ ability to rest well and recover. For patients, the hours leading up to lunch time are filled with activity. Doctors do their rounds, patients’ wounds are dressed, and their vital signs are measured. Nurses and cleaning staff go about their work with a positive attitude, but it is all too easy to disturb a patient who needs a calm environment. After all of this activity, patients need peace and quiet. Our nursing team at a specific Mediclinic hospital identified the need for a time of absolute quiet during the day to ensure that patients are not disturbed as they rest and recover. Based on feedback we received from patients, we launched a campaign to reduce the overall noise levels in rooms and passageways. Every day after lunch time, we dim the lights in the passageways. Cleaning staff and nurses know to speak softly. Instead of pushing trolleys down the passageways, staff members park the trolleys during this quiet time and take what they need from it to fulfil their duties. On every door there is a sign that reminds staff members to respect patients’ need for silence. The daily quiet time spreads throughout the hospital and creates a calm and peaceful environment. With fewer disruptions, patients relax more easily and, although they are not at home, the hospital feels less intimidating and more welcoming. We all want our doctors to perform at the highest level in the operating theatre. They also play an important role in addressing patients’ concerns about their illness or condition. They form part of an interdisciplinary team that works together for a positive clinical outcome and patient experience. The hospital management team meets with various groups of specialists and general practitioners throughout the year. While they work at Mediclinic’s facilities, they are not employed by Mediclinic, and it’s important to align with them regularly on best practices. For the most part, these meetings focus on clinical aspects of care. 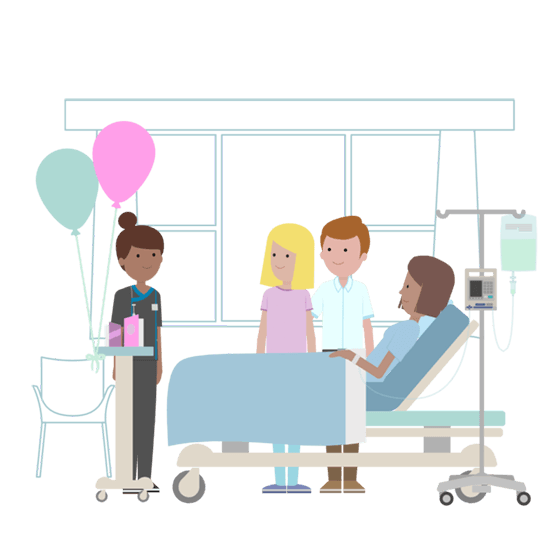 We realise how important it is to involve doctors in the patient experience feedback process, and we want to equip them with information that will enable them to provide better care to their patients. From 2016, we included the Patient Experience Survey in our discussions with doctors at one of our Mediclinic hospitals. We shared the hospital’s overall performance on lead indicators and the various sub-sections, and went into more detail about the sub-section on doctors. Involving doctors in the feedback process gives them insight into patients’ experiences and raises awareness about their role in improving overall patient experience. In our efforts to put patients first we need to involve all of the specialists on the interdisciplinary team, from the radiologist and nursing staff to the anaesthetist and surgeon. The Patient Experience Survey results equip doctors to respond better to patients’ concerns and feelings, and allow them to provide better overall care. Food plays a crucial role in our overall sense of wellbeing, and in a hospital, what we eat forms part of a complex network of care. It is important for patients to receive what they ordered, that meals are appropriate for their medical condition, and that patients who suffer from allergies know their food is safe to eat. 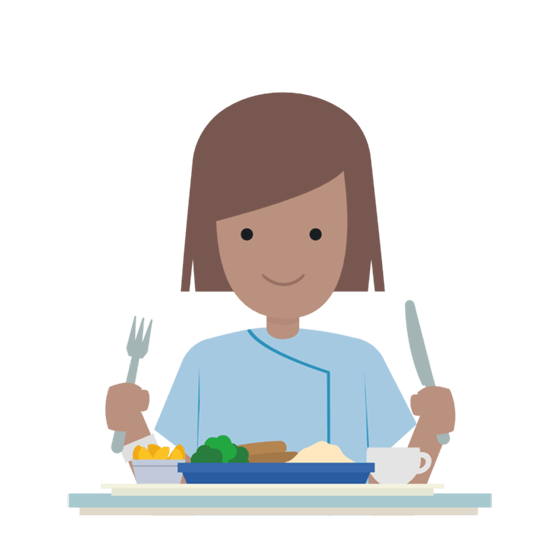 The process of getting the right food on the plate for every patient starts with admissions, where patients indicate food preferences and allergies. From there, various factors influence what patients should or should not eat, and nurses, doctors and food preparation staff need to communicate well to ensure no mistakes creep in. At one of our hospitals, ensuring that patients receive the right food every time became an important priority for our nursing and food preparation teams. Our patients indicated that receiving the right meals was important to them and affected how they perceived the quality of care. As a result, we developed a new communication process to improve the sharing of information between nurses and the food preparation team. The standard Diet List was adapted to include a column for allergies and indicate whether patients who had undergone medical procedures were ready to eat food. The new document also provides space for team members to write comments. The improved communication process ensures that patients receive the right meals every time. The new Diet List also provides the patient experience team with insightful data to identify gaps in communication and address issues immediately. Our patients value being active participants in their own care, but they also want to know their confidential information is handled with discretion. 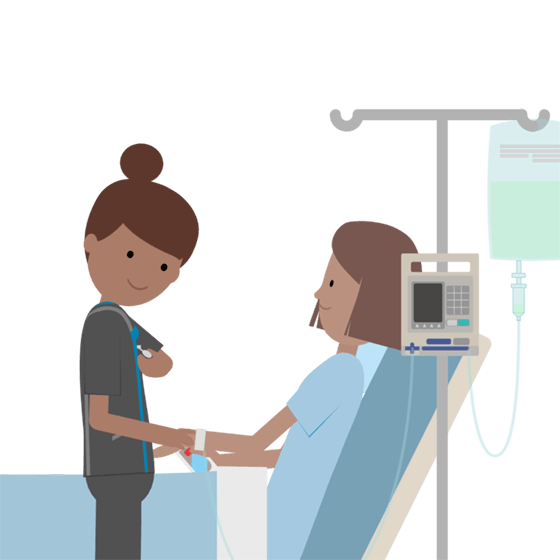 In every hospital, nurses do a comprehensive handover of patient information when they change shifts, but patients are sometimes uncertain about how their recovery is going, or whether or not their procedure was successful. Nursing handovers are crucial to ensure patients receive excellent care throughout their stay, and the quality of communication between nurses is an important factor in eliminating healthcare errors. Patients receive only the best of care but, in a busy hospital, nurses may not always have enough time to communicate with patients and answer questions. The practice of doing nursing handovers in front of patients is common in hospitals around the world, and we saw the potential for this method to involve patients more in their own care. In response to patients’ feedback about wanting to be more involved in their own care, our nurses started doing bedside handovers at a specific Mediclinic hospital. 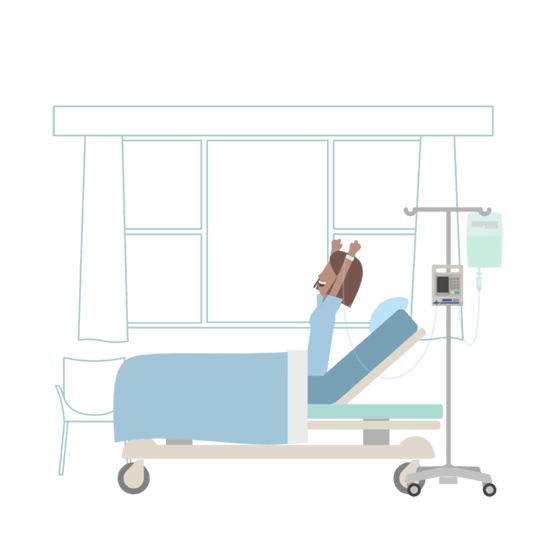 The worldwide trend to do bedside handovers has been shown to promote patient-centred care and involve patients in their own care. From our patients’ point of view, this practice offers them an opportunity to ask questions and understand what to expect in terms of tests, treatments and changes in medication. Patients also gain some context about their own progress, and the practice helps to relieve any anxiety they may feel about symptoms and health issues. 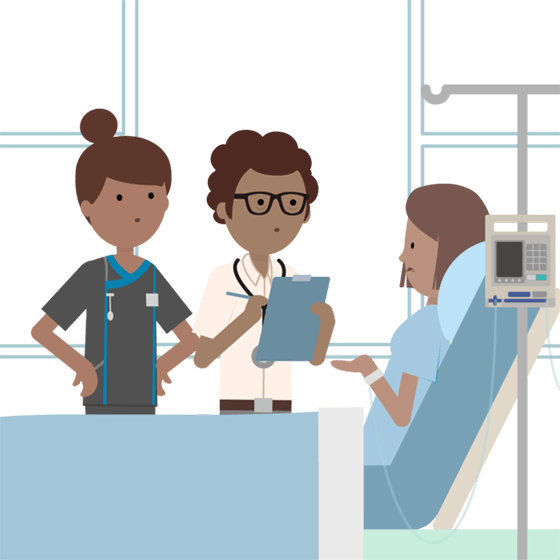 Confidential patient information is discussed away from the bedside so that there is no risk of inadvertently sharing this information with other patients or visitors. With our patients becoming involved in this way, they feel empowered, and it removes much of the uncertainty they experience in the hospital environment. The approach also leads to open and transparent nursing, and it gives nurses a new perspective on how patients perceive the hospital experience. This strikes a good balance between handing over sensitive information in private, and discussing more general information with the patient. When we are in hospital, we may be vulnerable and completely reliant on others’ care. Elderly patients or patients who undergo major surgery, in particular, need special care and attention. It is very important to identify patients who are at risk or who require special care. For example, some patients may be prone to falls, or at risk of developing pressure sores. Other patients have hearing aids or dentures, and losing these items can have a severe effect on their quality of life. In the past we used red stickers with the words “High Risk” printed on them to indicate patients who required special care. While the intention was good, these stickers often caused unnecessary anxiety among patients and their relatives. Imagine if nurses could know which patients were at risk without causing more anxiety. Communicating which patients require special care is very important to us in order to ensure these patients’ unique needs are taken care of. At this specific Mediclinic hospital, when we identified that our red “High Risk” stickers were making patients and visitors uncomfortable, we made a simple change. We introduced new stickers with a glowing light bulb and the acronym “LAMP” printed on it, which stands for “Look at me, please”. The stickers are a constant reminder for nurses to pay special attention to patients who need the most care. Everyone who works in a hospital understands the importance of good hygiene and the role it plays in preventing infections. The simple act of washing our hands or rubbing them with an alcohol-based handrub can help stop the spread of micro-organisms. Improving hand hygiene is not the responsibility of a single person, but rather a collaborative effort between different healthcare professionals, and it aligns with our focus on patient safety and putting patients first. At one of our hospitals, we implemented a quality improvement project to improve hand hygiene practices of all nurses and healthcare professionals. All team members signed a commitment to improve hand hygiene compliance. After seeing positive results from this initiative, we focused on one group of healthcare professionals who demonstrated the least improvement in compliance. Alcohol-based handrubs were made available at the point of care. Healthcare professionals received additional training and were requested to perform hand hygiene before and after interaction with their patients. By placing a strong focus on hand hygiene, we show our commitment to infection prevention and control. Compliance to hand hygiene was measured and recorded on a daily basis. Dispensers containing alcohol-based handrub are placed in strategic places to ensure that it is within reach during patient care, and to increase compliance to hand hygiene. The increased awareness about hand hygiene has become a good habit that everyone in the hospital follows. When your loved ones have to go to hospital, you want to be sure they receive the best possible care. Imagine if you can’t visit them because the hospital is far from home. At one of our Mediclinic hospitals that serves many small towns in the region, it was found that family members are often too far from the hospital to visit the patient. Family members would phone the hospital, anxious about the patient’s care and expressing concern about their treatment. This hospital also serves many old-age homes. Patients from these institutions would sometimes be discharged to the old-age home without the family members’ knowledge, causing unnecessary anxiety. Some patients would also reach the hospital with other pre-existing conditions, such as pressure sores or severe dehydration. These patients require special care to ensure that their pre-existing conditions do not affect their overall wellbeing. We realise the importance of keeping family members informed about patients’ progress in hospital, showing Mediclinic’s commitment to expert care. As this hospital serves such a large community, we place special emphasis on maintaining regular contact with family members. We identify patients who do not receive regular visits from family members, and reach out to the family to share the patient’s progress and alleviate their concerns about the patient’s care. It is a structured process: unit managers contact the main contact person in the family and discuss all aspects of the patient’s care with them. When we discharge patients to old-age homes, we inform the family’s main contact person to avoid any uncertainty about the patient’s whereabouts. Before discharge, we provide special care in the form of physical grooming. We wash and comb the patient’s hair and help them dress in a fresh set of clothes. We also provide some guidance for dealing with any pre-existing conditions. By initiating contact with family members, we are taking a proactive approach to give family members peace of mind. It is not practical for them to travel large distances every day to visit the hospital. Our regular phone calls show that we care about patients’ wellbeing. Before going home from hospital, most patients have to receive or collect their take-home medication. Any delay in this process can cause unnecessary frustration. 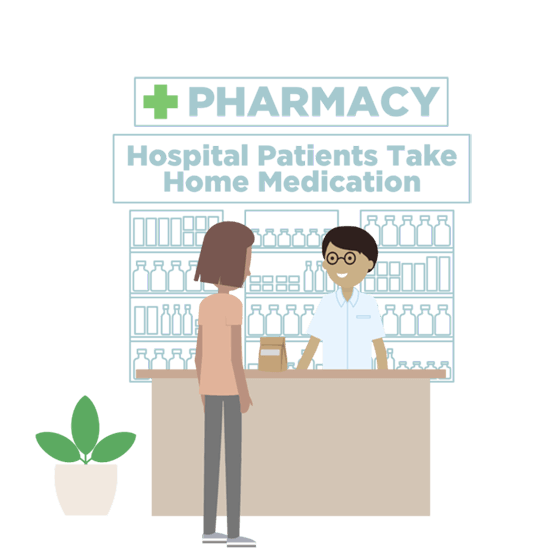 We found that patients sometimes had to wait for their take-home medication before they could leave. If we could improve the efficiency of providing patients with the medication they needed at home, patients would be on their way much quicker. Our patients made it clear in their feedback that they do not enjoy waiting for medication after they have been discharged. We made it a priority to reduce waiting times between discharge and going home. We started by plotting out the different role-players in the take-home medication process. It starts right at the beginning when a patient is admitted and only ends when the patient receives their medication from the pharmacy. 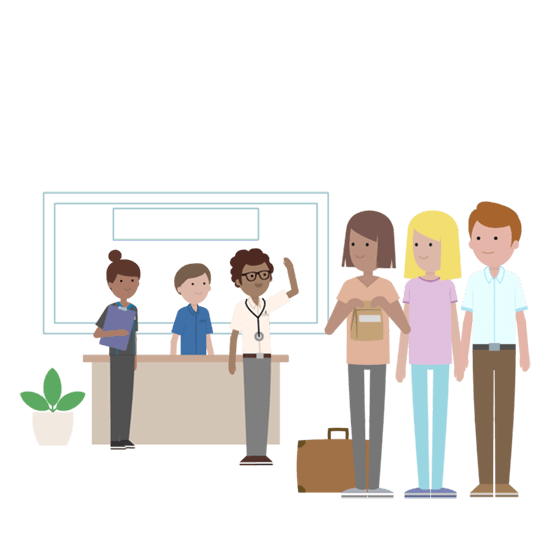 To bring together all of these role-players, we identified the responsibilities of each person and put a more streamlined procedure in place. As a result, patients can now pick up their medication immediately after discharge. The process is efficient, and every role-player understands their part in creating a positive experience for patients. We also give patients the option to pick up medication at their local pharmacy. We are able to monitor the effectiveness of each role-player and respond to delays in the process immediately. On the day of discharge, our patients are eager to return to the comfort of their own homes and get back to their daily routines as soon as possible. In the process, they may not find the opportunity to ask questions or discuss how best to treat wounds or conditions at home. After a positive clinical outcome, it makes sense that patients have their hearts set on going home. Although they may have questions or concerns they want to discuss with their doctor or with nurses, they often don’t find a suitable opportunity to do so. It would be of great benefit if the discharge process could help patients and family members be more prepared to continue care at home. We know that our commitment to patients doesn’t end when they leave hospital. By empowering patients with enough knowledge and confidence, we help them return to their daily routines more quickly. 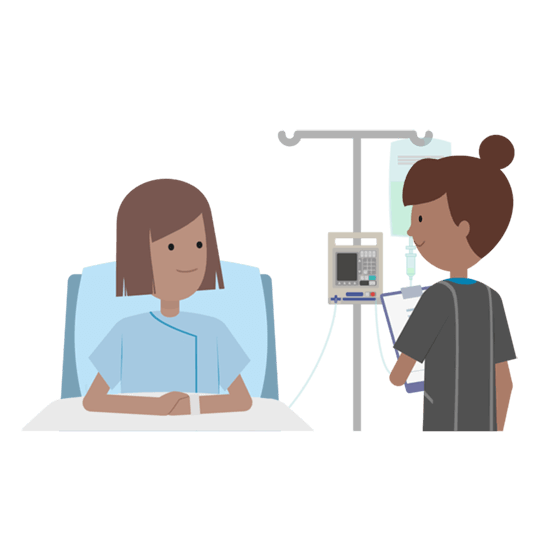 To improve the sharing of information between nurses and patients at a certain Mediclinic hospital, we created a Healthcare Conversations form. Nurses use it to prepare patients for discharge, and patients feel empowered to discuss their concerns. Our Healthcare Conversations document guides nurses and patients through a discussion about discharge. It covers important information such as after-care requirements, pain management, treating wounds and conditions, returning to work and activities of daily living, what to eat, and how to use medication. During the conversation, patients also have an opportunity to ask questions and raise concerns. They receive a notepad on which to write down any questions, as well as important contact details. As a result, patients are better prepared for their discharge, and they are not anxious about leaving the hospital. Above all else, our patients want to leave hospital knowing that their illness or condition was treated successfully. Their overall hospital experience is also affected by how their emotional and personal needs are fulfilled. As the primary caregivers, nurses play an important role in looking after patients’ emotional and physical wellbeing. With positive clinical outcomes being their first priority, nurses have a lot on their plate. By building good relationships with patients and engaging with their unique needs, nurses have an opportunity to enhance their care. Our focus was on demonstrating the value of establishing rapport with patients and being responsive to their needs. Through a series of workshops that involved staff members at every level of the hospital organisation, we wanted to encourage a patient-centric approach. By showing nurses the value of establishing rapport with patients and being responsive to their needs, we gave them a renewed sense of purpose and equipped them better to address patients’ emotional and physical needs. The maternity ward at a certain Mediclinic hospital has benefited greatly from this initiative. New mothers and fathers are understandably anxious about their first meeting with their newborn. First-time fathers are guided to do skin-on-skin contact with their newborn baby and, in exceptional situations, fathers are also invited to spend the first night in hospital with their family. This clearly shows an understanding of patients’ special needs and underlines Mediclinic’s approach to put patients first in everything we do. © Mediclinic. All Rights Reserved.